Our 1.8 million-acre reservation is a hunter’s paradise. 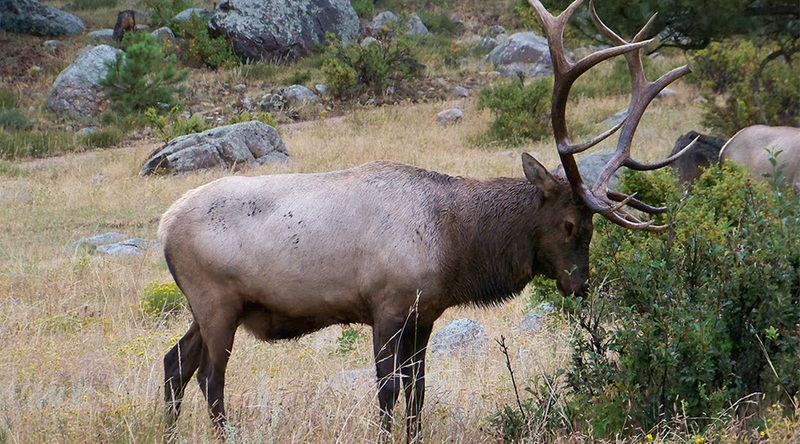 In season, big game hunters can take down Rocky Mountain Elk, Black Bear, Pronghorn Antelope, Turkey, Desert Bighorn Sheep, Coues-White Tailed Deer, Javelina and Mountain Lion. Hunters must hire an Apache Guide and have a valid license and permits. Non-tribal member hunting licenses for Antelope, Antlerless Elk, September Elk Archery, November Coues, January Malay Gap and January Coues Deer hunts are sold on a lottery/drawing basis. The entry fee is $26.00. Permits/tags are available to non-members on a first-come, first-serve basis for the following species hunts: 1st & 2nd Fall Bear; Fall Turkey; Javelina Archery; Javelina Rifles: 1st & 2nd Spring Turkey and Spring Bear. Both Tribal and Non-Tribal members must have a valid and current hunting license. Licenses can be purchased through the San Carlos Apache Recreation & Wildlife Department, in person or by mail. Click here to see the current schedule for all species. Hunters must hired an Apache Guide on "required" areas and have a valid license and permits. Available to non-members on a first-come, first-serve basis for the following species hunts: 1st & 2nd Fall Bear; Fall Turkey; Javelina Archery; Javelina Rifles: 1st, 2nd & 3rd Spring Turkey and Spring Bear. Also, our Spring Turkey is sold a year in advance. Both Tribal and Non-Tribal members must have a valid and current hunting license. Licenses can be purchased through the San Carlos Apache Recreation & Wildlife Department, in person, by mail or contact our office. Click here and complete the form, submit to our office within 14 days after the last day of the hunt.